Background/Info: Australian combo Avarice In Audio unleashed this new EP as a second teaser to the upcoming (and third) full length album “No Punishment – No Paradise”. Jade Pegg left the band in 2016 so the new line-up consists of Gerry Hawkins (Cryogenic Echelon), Lawrie Bayldon (Studio X) and Ben Barwick. The EP features the title song plus 4 remixes and a B-side cut. Content: One thing is for sure, the upcoming album will be definitely harder than previous productions. 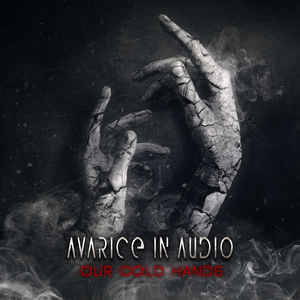 Avarice In Audio still holds on some trance and technoid influence, but “Our Cold Hands” also reveals a dirty, dark-electro sound. There also is a somewhat psychedelic guitar running through the title song. The vocals are harsh while the chorus has a more melodic approach. Remixes have been made by Maniac Address, Benjamin’s Plague, Ben Barwick and Antibody. The B-side track (cf. “Cadaver Of Abel”) also is a noticeable cut as it’s featuring Alien: Nation. + + + : Avarice In Audio has composed an atypical dark-electro song. It goes much further than the usual standards. 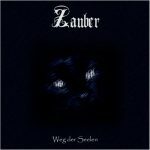 The addition of psychedelic guitar playing and this trance-melodic lead running through the chorus is not exactly what we can call dark-electronics. I like this approach. Among the remixes I especially enjoyed the remix of Maniac Address adding some cool effects on top of the song. Another interesting cut is “Cadaver Of Abel” featuring Alien: Nation, which appears to be a real hard and powerful song. I even prefer this song to the title-cut. 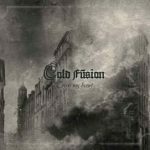 – – – : “Our Cold Hands” is a surprising title song for an EP. I’d to listen a few time to the original version to become really convinced. I expected a bit more from the remixes, which globally speaking are less inspired and adding less bonus to the release. Conclusion: Even if I was a little bit skeptical after a first listening, this song is an original cut. It’s not hard-danceable music although perfectly adapted to get people dancing. Best songs: “Cadaver Of Abel featuring Alien: Nation”, “Our Cold Hands”, “Our Cold Hands – Maniac Address Remix”.